Business professionals and consumers alike have long used Google’s suite of productivity apps to collaboratively work on projects with others. Now, the company is giving Google Docs, Sheets, and Slides a bit of an update to make that even easier. In a blog post released Wednesday, Google product manager Birkan Icacan detailed a host of new editing features and improvements meant to help users stay organized and track progress. “Today, we’re introducing new updates to better help with ‘version control,’ to customize tools for your workflows, and to help teams locate information when they need it,” the blog post reads. Name versions of a Doc, Sheet, or Slide. Users will now be able to add a custom name to a version of a document, which will help track progress that has been made. Teams can organize and track changes by looking under the “Version history” tab on web-based versions of the apps. Add suggestions from an iPhone, iPad, or Android device. Users have long complained that they could only add suggestions from a desktop or laptop. Now, making suggestions can be done on the go with a variety of different mobile devices. Just click on the “…” menu on the bottom right of the screen, turn on “Suggest changes,” and toggle “suggestion mode” to get started. Among the other changes, users will now be able to take advantage of new built-in templates that integrate with outside services like DocuSign and LegalZoom. 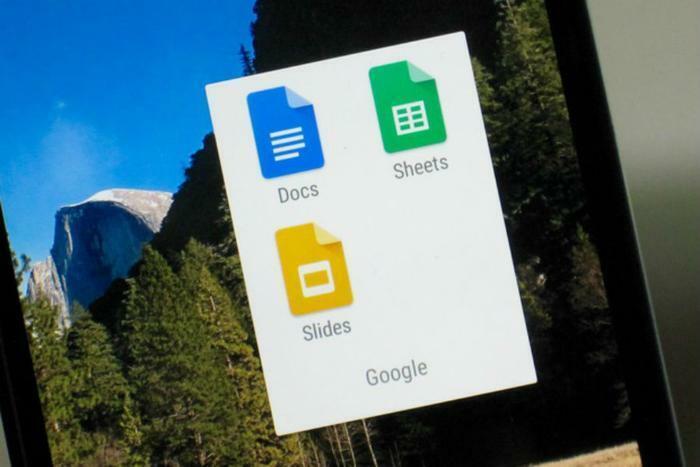 The company has also created a new feature called Google Cloud search that will allow G Suite Business and Enterprise customers to integrate Docs and Slides via the Explore feature. To learn more about the changes, check out Google’s blog post here.